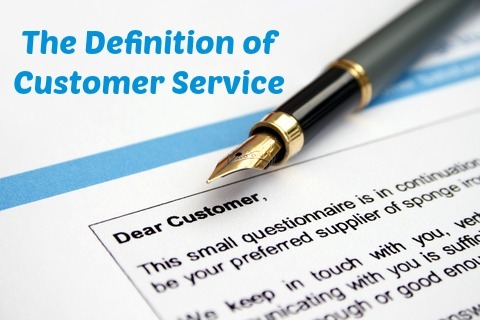 What is the the Definition of Customer Service ? Customer service is about creating a relationship of trust and loyalty beyond the immediate interaction. Customer service is the degree to which a product fails to meet, meets or exceeds customer's expectations. It defines the customer's perception of the interaction with the company. As a customer service specialist it is important to recognize that your job is to "serve" the customer in the traditional sense. The dictionary defines service as "an act of helpful activity". It defines to serve as "to be of use". These are excellent starting points for a definition of customer service. Today's customers want to be helped by someone of use to them. This basic premise has got lost in the clutter of scripted approaches and poor listening skills. A customer service job applicant who demonstrates this fundamental understanding of what is meant by customer service will get the serious attention of a potential employer. 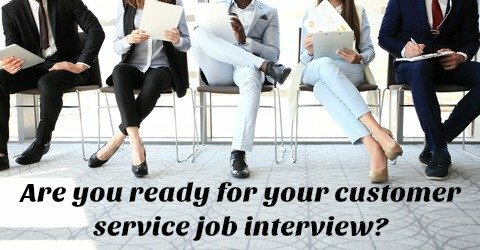 In your interview clearly express your knowledge of what needs to be done to provide excellent customer service and highlight your customer service skills. What is the key to excellent customer service? Recent research published in The Harvard Business Review shows three key components to providing good customer service. First is reducing customer effort, that is the work they must do to get their problem solved. Make it easy to do business with you by providing seamless processes and procedures for the customer to follow. Second is great customer service staff. People who are genuinely interested in serving the customer and who know their product inside-out. The third component is the customer needs to feel you know a bit about them and their preferences and needs, that in fact there is a relationship between the customer and the company. All these factors contribute to an accurate definition of customer service.When understanding the customer service job, interviewing for a customer service position, writing a resume or cover letter for a job opportunity keep these factors in mind. You will impress as an individual who has taken the time to really try and identify what good customer service means. 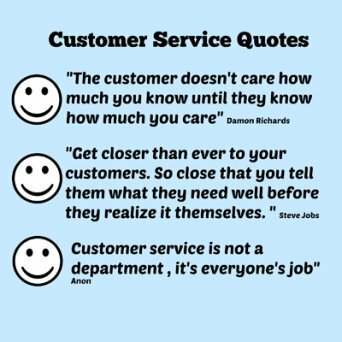 You can use a customer service quote that resonates with you to highlight your passion for serving customers. Here are some of the better quotes. Bill Gates "Your most unhappy customers are your greatest source of learning"
Sam Walton "There is only one boss. The customer. And he can fire everybody in the company from the chairman on down, simply by spending his money somewhere else"
Richard Branson "Don't promise what you can't deliver and deliver everything you promise"
Jeff Bezos "We see our customers as invited guests to a party, and we are the hosts. It's our job every day to make every important aspect of the customer experience a little bit better"
Howard Schulz "Great retailers recognize that they're in the business of constantly surprising and delighting their customers." Meg Whitman "We think of our customers as people, not wallets."